Prefab is fab-ulous, right? Why? 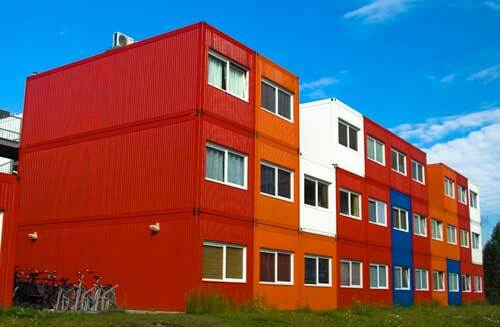 Because it allows for buildings to be built more cheaply and quickly than traditional construction. Walls can be built in factories and the wiring and plumbing pipes can be installed inside of the walls and then these walls can be shipped to the building site and then assembled into a building. But is it all as rosy as it seems? 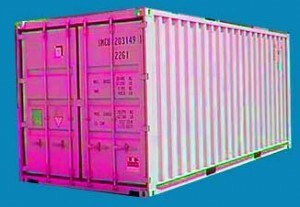 “Reusing containers seems to be a low energy alternative, however, few people factor in the amount of energy required to make the box habitable. The entire structure needs to be sandblasted bare, floors need to be replaced, and openings need to be cut with a torch or fireman’s saw. The average container eventually produces nearly a thousand pounds of hazardous waste before it can be used as a structure. All of this, coupled with the fossil fuels required to move the container into place with heavy machinery, contribute significantly to its ecological footprint.” see Archdaily. 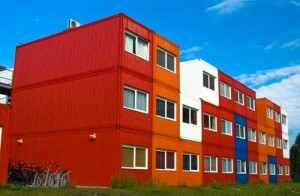 Also regarding design, shipping containers are limiting in terms of their shape. They are always a long rectangle. Many people pile the containers upon each other to make multiple level structures. And it all gets more expensive. Alas, the structures are pretty cool and fabulous in their own way – but maybe not as a solution to cheap and easy construction. Learn the vocabulary used in Prefab construction, like Modular/Module, Yurt and Carbon Footprint. By the way, a home structure that is built on site is referred to as “stick-built” construction.